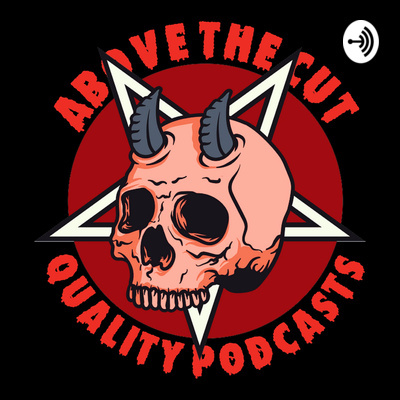 The official Above the Cut podcast. In this short episode, I give my approximately nine listener strong audience an update. I talk about why there hasn't been an episode in a while and what's going on with Above the Cut. I discuss some difficult changes that have transpired. I talk about why it might be better to move on when giving up seems like the best option. Essentially, I talk myself out of throwing away this podcast and my entire brand that I've been building since 2009, throughout its many ups and downs, during it's most downward turn yet. You're welcome to listen in while I do that. This is an uncomfortable listen - trust me, I listened to it. But it's real and that's the whole point of this podcast. I hope you can take something useful away from it. In this episode, I propose a re-evaluation of the man, the myth, the legend: filmmaker, podcaster and internet-savvy superfriend, Kevin Smith. I'm here to rebut the negative reputation I feel overwhelming dominates the conversation surrounding Smith, from his filmmaking merits to his impact on the culture of communication. I also explain my Jason Mews story, my extremely uncomfortable hang with Kat Von D, my thoughts on the state of "indie film" and the hypocrisy of Smith's nay-sayers. Welcome to the first episode of Above the Cut. In this episode, I explain how this podcast got started. I talk about what I do for a living and my rebranding of my business inasmuch as it's relevant to the creation of this podcast. I discuss the hermetically-sealed and corrupt landscape of Hollywood from the perspective of an actor and a filmmaker. I talk about living in San Francisco and making videos for Levi's. I talk about why Levi's blacklisted me. Finally, I discuss what to expect on this podcast moving forward. Thanks for listening.